TranquilMount TV Above Fireplace has been uniquely designed to offer the ability to swivel and tilt the TV easily and with the added feature of pull-down TV and position it to eye level or in front of the fireplace. It can easily be pushed back to its original position high above the fireplace or wall. 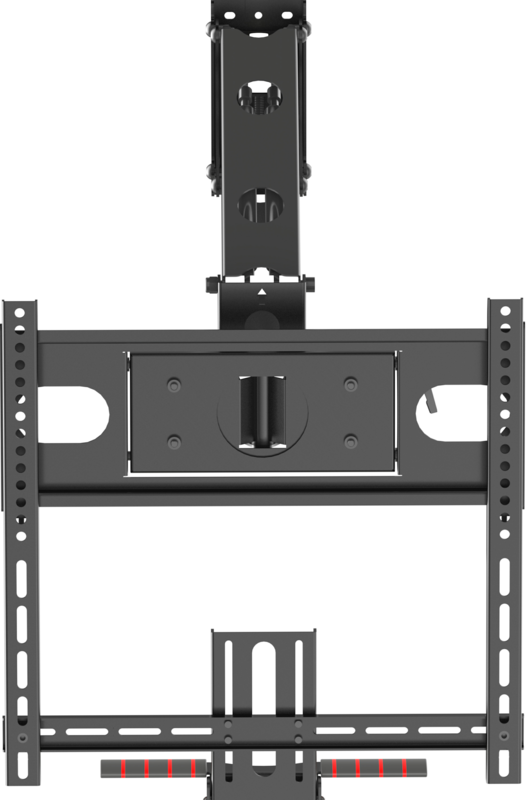 This mount is ideal for Mounting TVs 55-65 inch, but if you’re looking for that extra lower position for your 55″ – 65″ TV, we would recommend the TMO100A. The TMO400A is designed to be smaller and more compact but providing the same benefits. 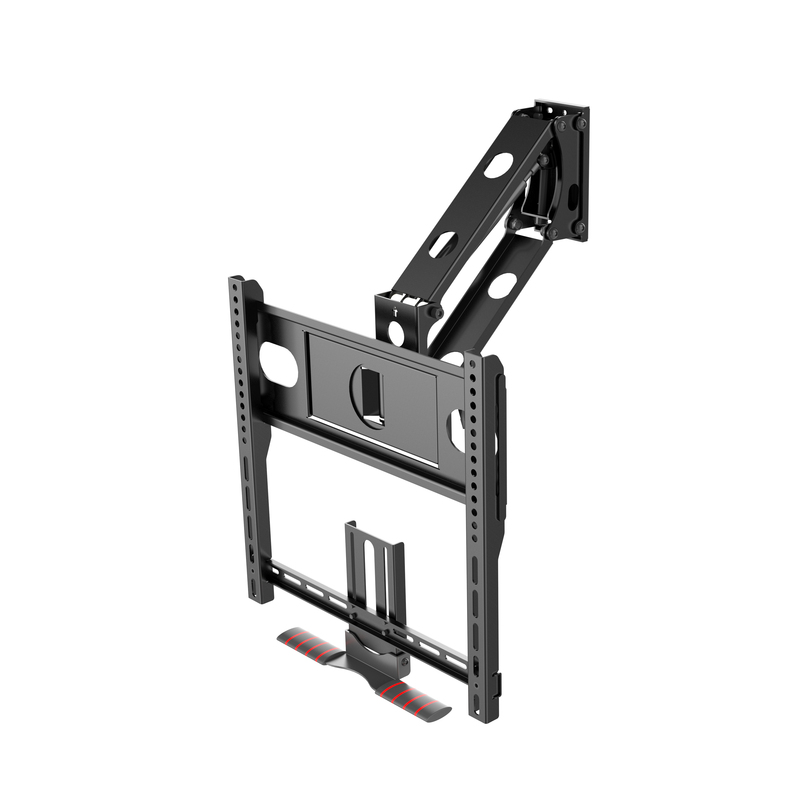 TranquilMount has been uniquely designed to offer the ability to swivel and tilt the TV easily and with the added feature of pull-down TV and position it to eye level or in front of the fireplace. It can easily be pushed back to its original position high above the fireplace or wall. 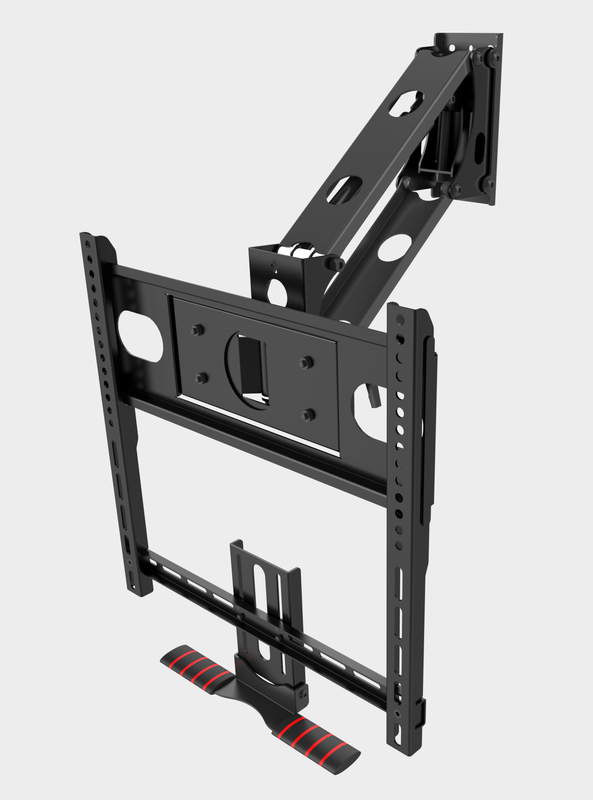 This mount is ideal for Mounting TVs 40-55 inch, but if you’re looking for that extra lower position for your 55″ TV, we would recommend the TMO100A. 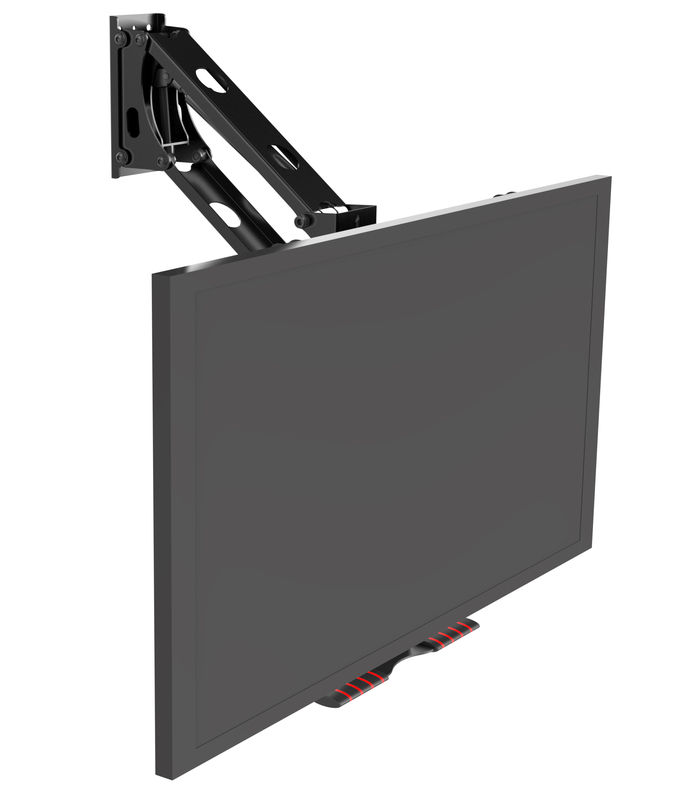 The TMO400A is still great too, also it is a small factor version, designed to be discreet when the TV is fully up against the wall for the smaller TVs mounted on the wall or above a fireplace.